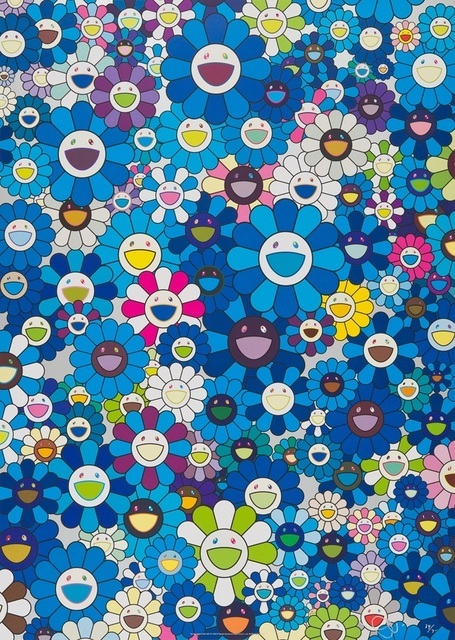 This summer, psychedelic artist Takashi Murakami has made a real name for himself after leading his latest exhibitions to raging party scene of Ibiza! Ravers everywhere are arriving fast to this “Island of Sin” where you can find Murakami‘s unique “superflat” style, gathering the attention of all night party go-ers along side Dj headliners David Guetta and Armin Van Buuren. One can definitely say Murakami has a talent for squeezing art into places which wouldn’t normally be found. Like Warhol, Hirst and Jeff Koons, their relationship between art and capitalism is widespread. 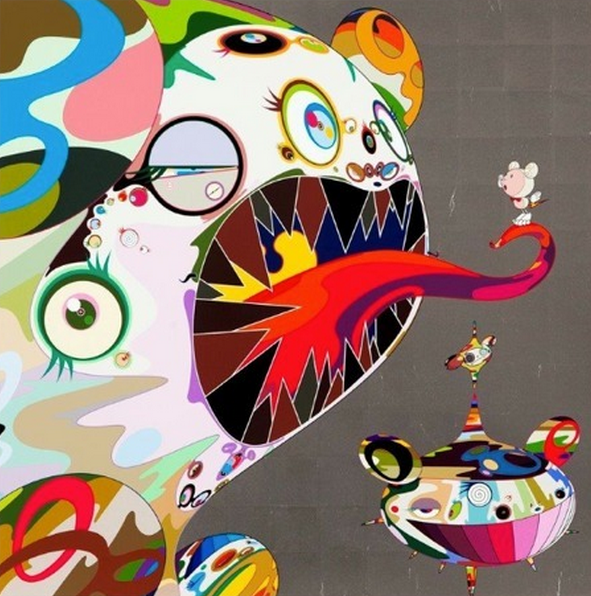 Murakami even has collaborations with Retna and Luis Vuitton, gaining notoriety as an artist who blurs the lines between “high art” and commercialism. 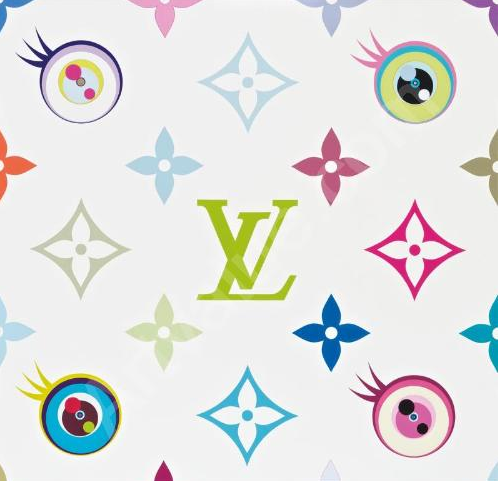 His Superflat Monogram (white) painting was in collaboration with luxury Luis Vuitton never full bag, making it one of the most sought out bags of the time. Tikashi Murakami’s unique style of “superflat”, a term he coined himself, describes the aesthetic combination of traditional Japanese art with postwar Japanese culture and tradition as seen as seen in his above prints Homage to IKB and Homage to Fancis Bacon.